Patterned texture of fiber wall art part with contrasting 3D embroidered chunky giant wool loops constructed in hand woven thread with generous decorating tassels in a mexican or southwestern style. 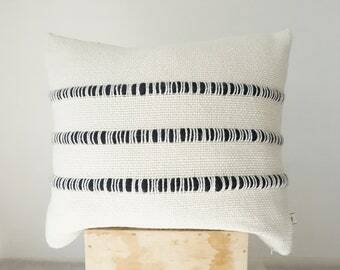 Awesome modern and luxury accent of chunky knit throw pillow for you and your space with graphic love: pattern + texture. 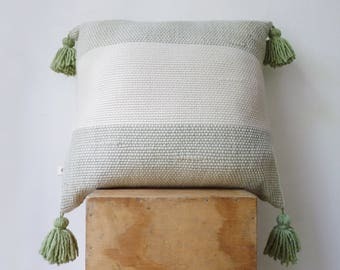 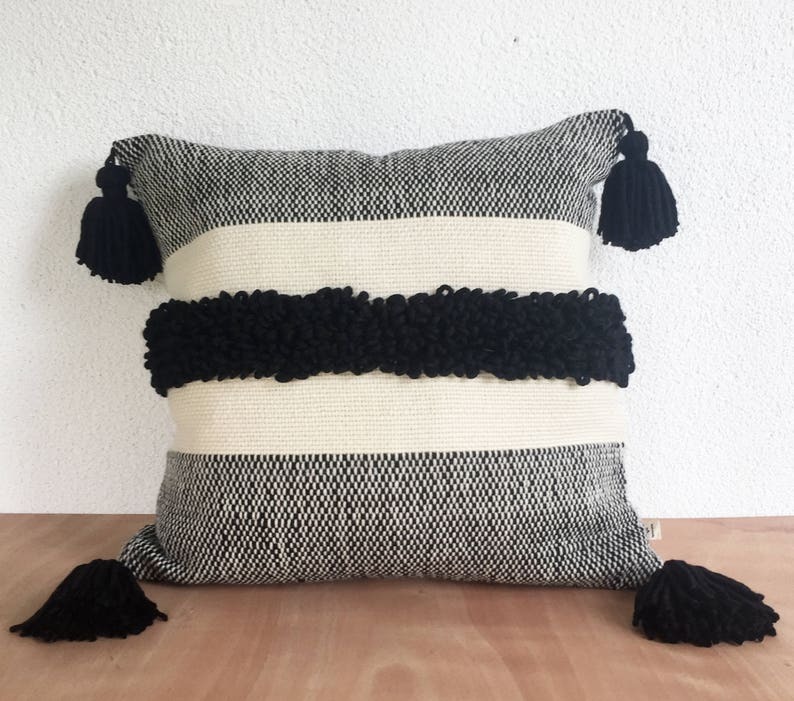 The coolest handcraft designer pillow throw cover is made of undyed and eco dyed black super fine uruguayan merino wool on a wood hand loom. 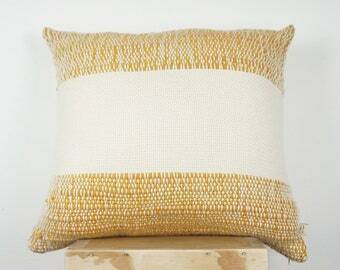 This throw pillow have double side design and invisible zipper. 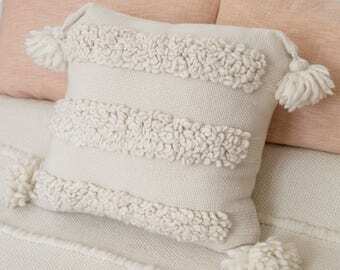 Add a pop of texture of your favorite sofa coach! 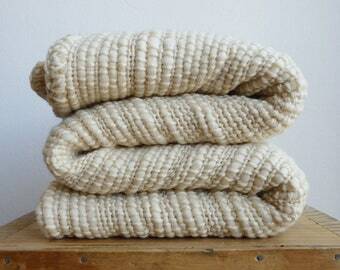 Hand wash in neutral soap or Dry Clean. 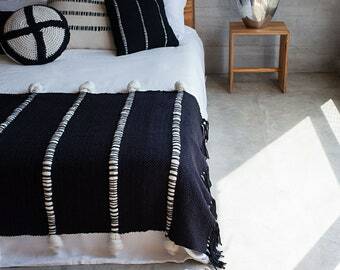 Do not use a dryer and dry flat. 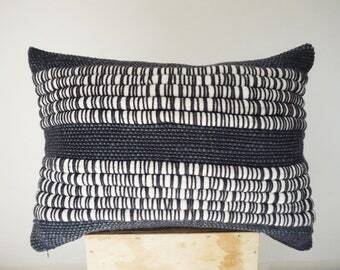 This pillow cover is absolutely stunning. 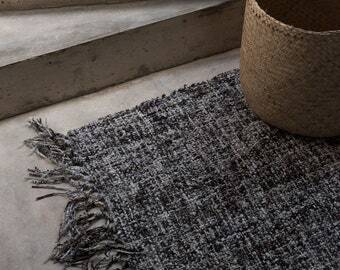 Soft wool and beautiful quality.